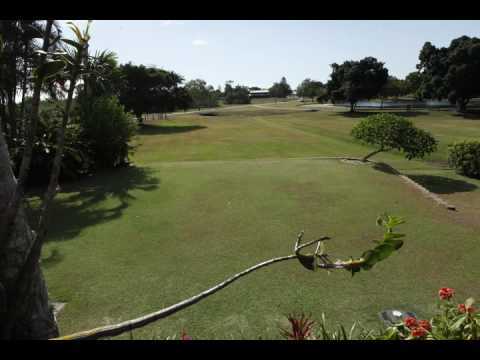 300m2 blue couch back lawn cut with Masport reel mower - front Greenlees Park cut with standard rotary mower. 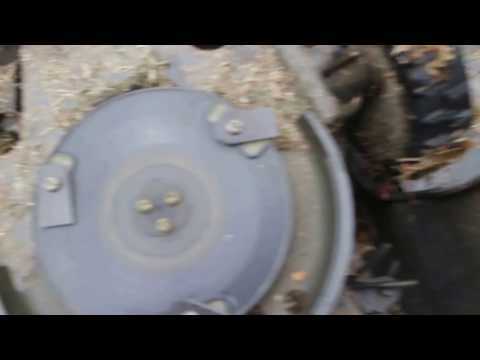 This is a time-lapse capture of the Husqvarna Automower working. 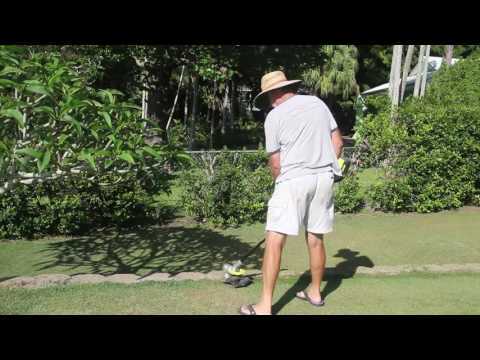 It shows the technique the mower uses to sense the boundary wire and change direction to make its next cut. 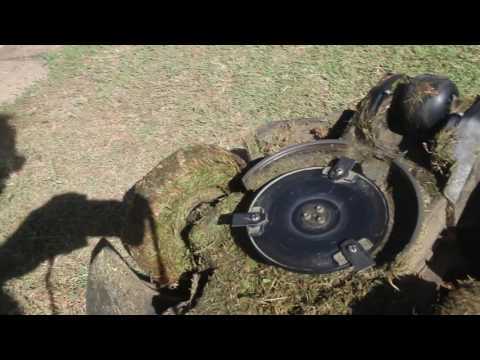 As the mower works away early in the morning when the dew is still on the grass, it picks up a few leaves and some of the clippings on its wheels and its underside. I tried a technique of using a brush that I bought for cleaning my push bike, then blowing away the loose stuff with a 36V blower. It seems to work quite well. After a couple of months of happy operation, I came home one day to find little Harry Husqvarna stuck beside the boundary and found it had actually cut its own boundary wire. Rather than worry the techs, I had a go at repairing the wire myself as I had some heat-shrink connectors I knew would do the job. Luckily, it was a success and Harry is happily back at work again. 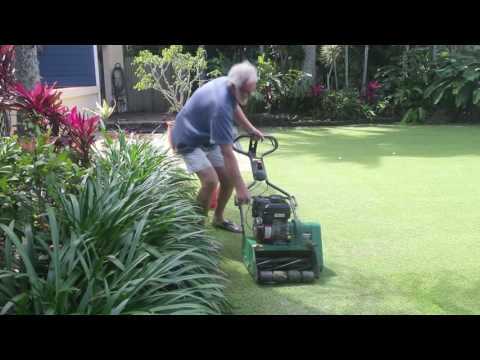 It's hot here in the tropics and we haven't had rain for a couple of weeks so the lawn is crying out for a bit of moisture. So, while Harry Husqvarna works away keeping the grass well trimmed, the pop-up sprinkler system doesn't seem to worry him one bit. 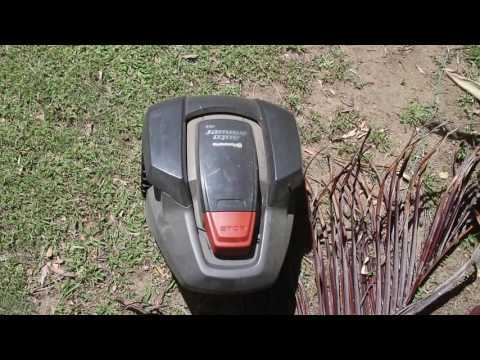 This video shows how the Husqvarna Automower deals with gum leaves that had been falling over a period with strong northerly winds. It mulches the leaves and keeps the lawn looking quite tidy. However, in this case it met its demise with a palm frond that managed to stop it in its tracks! 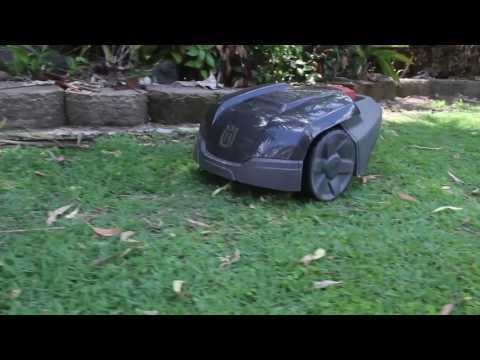 With a couple of days growth on the lawn and a few gum leaves to contend with, the Husqvarna Automower has to work a little harder than normal. You can see how it slows to cope with heavier growth it encounters. 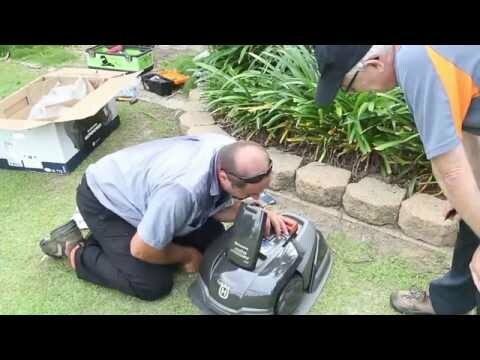 First step was moving from the petrol reel mower to the Husqvarna Automower that's quiet, efficient and effortless. 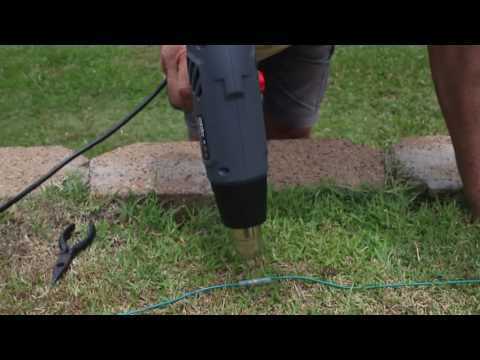 Now, instead of using the noisy petrol line trimmer (whipper snipper), I've started using a 36 volt battery-powered line trimmer that does the job quite satisfactorily and with a lot less noise (and never a problem to get it started). The neighbours are probably happier as there's no petrol engines disturbing their peace and quiet and the job is getting done with less effort! It's been a few weeks now since the installation. 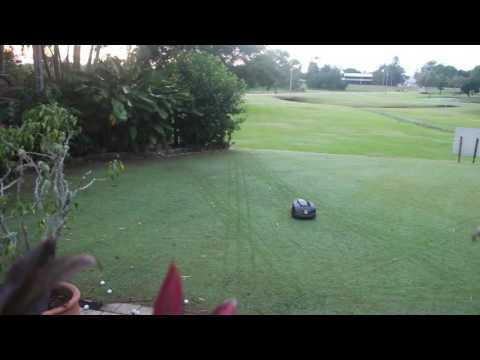 Here's one big plus from switching to mowing with the little robot! 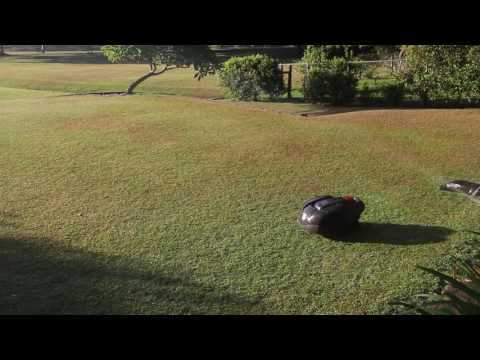 Five days now of the #Husqvarna #Automower working away on my lawn. It rained last night and washed in the fertilizer I'd put down. So, another episode in how this little robot is faring in its task.